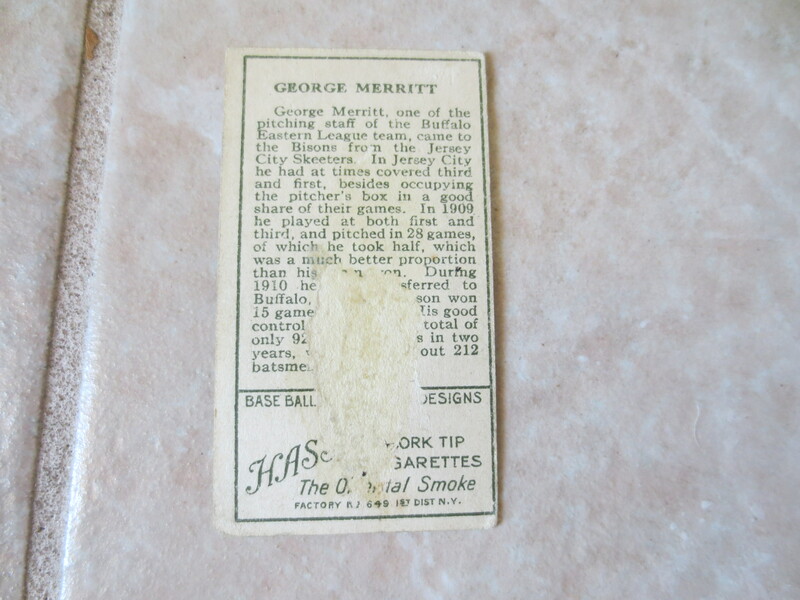 What we have here is a 1911 T205 George Merritt Buffalo Minor League baseball card with a Hassan back. It is from Factory #649. 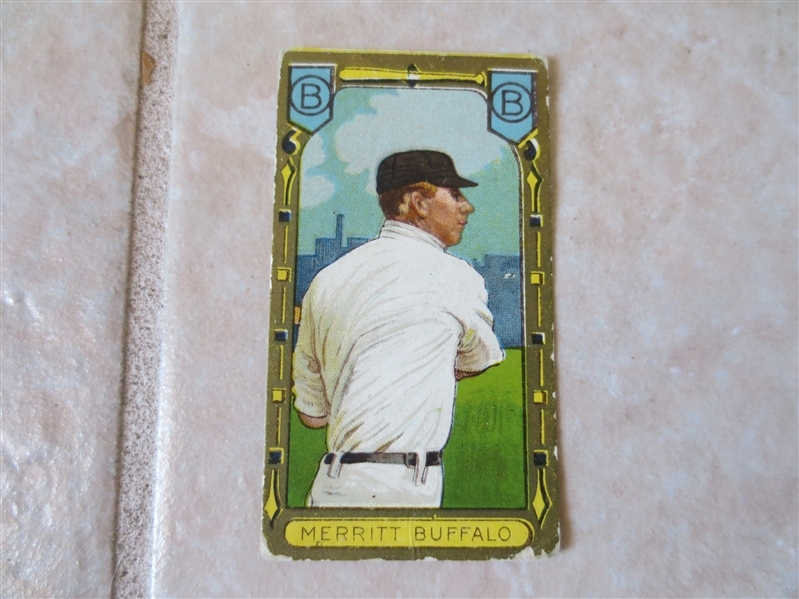 I graded it lower because there is some paper loss on the back (see photo).